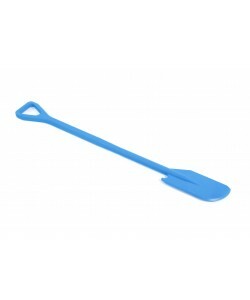 Our plastic paddles and plastic shovels range includes an extensive selection of colour coded plastic paddles and shovels in a variety of different sizes and designs. Typically manufactured from food grade polypropylene plastic, our plastic paddles and plastic shovels offer the highest levels of quality to meet the standards of the food industry. 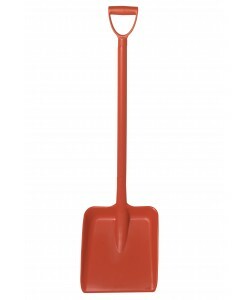 Many of our colour coded plastic shovels and plastic paddles are available straight from stock, providing you with fast and efficient service and premium quality products. With holes or without our plastic paddles are available in several different formats including solid paddle heads and perforated paddle heads. A popular choice within the food manufacturing and production industries our one-piece plastic paddles offer a strong and durable food approved solution for mixing and stirring of food ingredients. The HW101 plastic paddles, LP01 plastic paddles with solid heads and LP02 plastic paddles with perforated heads are all available in a wide selection of colours to help with colour coding. 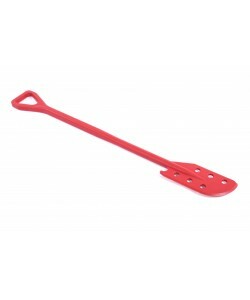 Equipped with a chamfered edge for scraping, these one-piece plastic paddles are highly durable and can be supplied in red, yellow, blue, green, white, orange and purple colours. Heat resistant, long handled and metal detectable plastic paddles also provide a number of advantages for the food industry. Heat resistant paddles include a stainless steel handle and a plastic paddle head. Able to withstand temperatures between -30 and +240oc these plastic paddles are ideal for mixing and stirring foods and ingredients during cooking. Metal detectable paddles offer industrial food manufacturers a means for detecting and preventing any foreign bodies within their products should the plastic paddles break. Mindful of strict regulations and food safety guidelines, our range of plastic shovels are all suitable for use within the food industry. 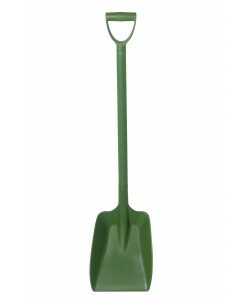 Manufactured from food approved plastic materials the variety of plastic shovels are available from stock in a number of different colours and designs. 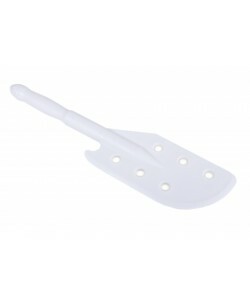 Small hand held plastic shovels offer colour coded solutions for handling food ingredients. 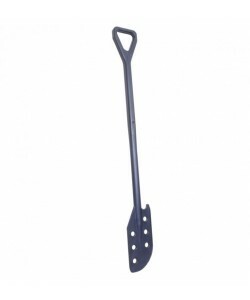 Available in red, blue, yellow, green, white, purple and orange colours our PSH7 one-piece plastic shovels are designed to minimise dirt traps and be easily and effectively cleaned. 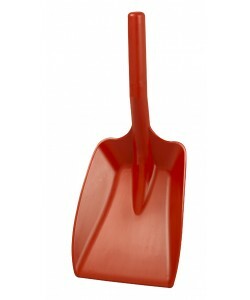 Larger, D-grip plastic shovels like our PSH13 and PSH6 heavy duty plastic shovels are both comprised of single one-piece mouldings for increased strength and durability. Manufactured from food grade polypropylene plastic they are lightweight and easy to handle yet virtually unbreakable. 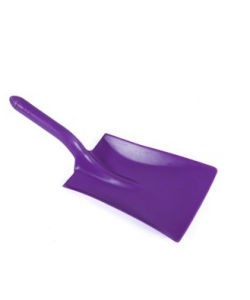 Available in a wide variety of colours to help with colour coding and prevent cross contamination these plastic shovels are non-stick and easily cleaned. 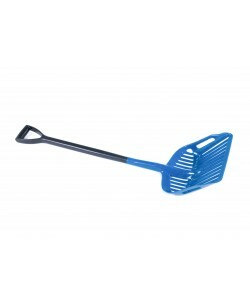 Perfect for hygiene sensitive environments our anti-microbial plastic shovels offer extra hygiene protection. 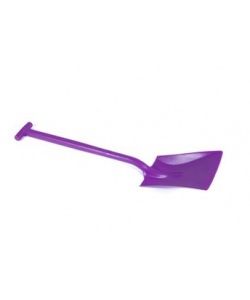 Available in an easily recognisable purple colour, our anti-bacterial plastic shovels include the HAB01 and HAB03 plastic shovels. Manufactured from food approved plastic, each plastic shovel contains an additive that helps inhibit the build-up of bacteria.